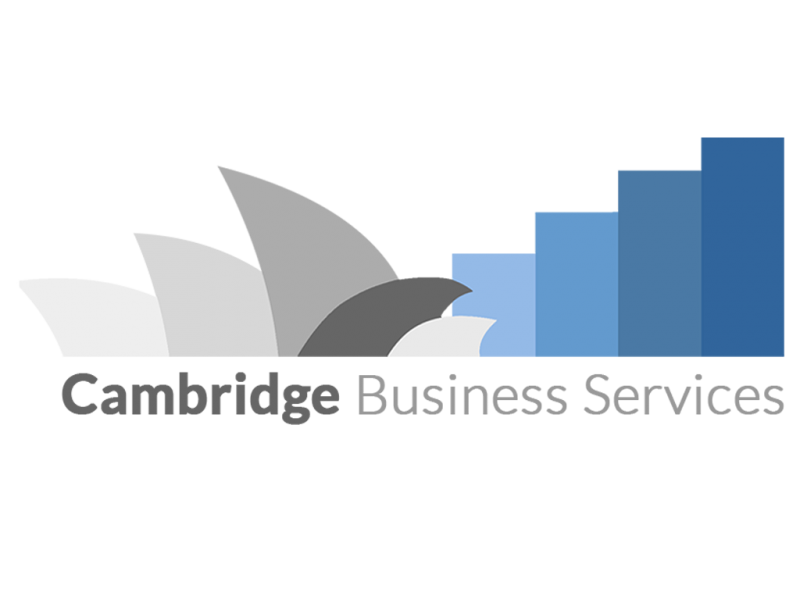 Cambridge Business Services, is an independent local firm, dedicated to offering a comprehensive range of flexible accounting, bookkeeping and taxation services to individuals and businesses. Our mobile tax accountant can also travel to your home or business in metropolitan Sydney. We make it easy to understand and fulfill your taxation obligations, ensuring that you are meeting all legal requirements. We can work to your preferred level of involvement, from basic periodic bookkeeping services to a more in-depth involvement. We offer a complete service package, which means we take care of your accounts, while you take care of your business. Cambridge Business Services cover all aspects of accounting services, including: * GST * Business Activity Statements * Individual Tax Returns * Profit and loss statement * Balance Sheets statements * Partnership Tax Returns * Reconciliation * Payroll * Trust Tax Returns * System software setup and training * Consultation * Company Tax Returns About Cambridge Business Services - Sydney ~~~~~~~~~~~~~~~~~~~~~~~~~~~~~~ Cambridge Business Services provides quality accounting, tax and bookkeeping services to individuals and businesses throughout Sydney. The business is owned and operated by Fredrick Dahan, a registered tax agent and fully qualified accountant (completed a Bachelor of Commerce in Accounting and Sub Major in Law and Graduate Certificate In Taxation) also a member of the Institute of public accountants as well as a fellow member of the Tax Institute. With an emphasis on offering a service whereby you can alleviate the burden of your GST and BAS statements, profit and loss, balance sheets and so much more, you can reclaim your life and stop wondering what position your business is really in. With a wealth of knowledge and the determination and skills to produce perfect results every time, you can relax and get on with the job at hand.